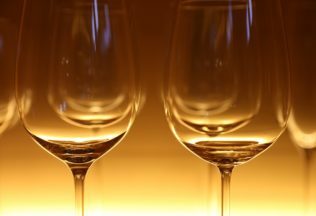 The Australian wine sector is in its strongest position in more than a decade a new Australian Wine report has said. The strong position is attributed to historically high production levels matched with sales growth and reasonable inventory levels. 2017’s wine production was the second year of historically high production in Australia with a grape crush of 1.98 million tonnes, eight per cent higher than 2016 levels. The year saw overall wine production increase by 5 per cent to 1.37 billion litres thanks to increased red wine production. White wine production declined 5 per cent to 576 million litres. Wine sales by Australian winemakers grew strongly in 2016-17 with growth in both domestic and export markets. Total sales value increased 8 per cent to more than AUD $5.6 billion. Most (86 per cent) of the year’s sales growth came from red and rose wines. Total wine inventory for 2016-17 increased by 3 per cent to 1.97 billion litres. Red wine inventory increased by 7 per cent to 1.09 billion litres in 2016–17, while white wine decreased by 1 per cent to 739 million litres. Wine Australia Chief Executive Officer, Andreas Clark, said the booming year for Australia was well timed with 2017’s global production estimated to be the lowest since 1961. Australia was the only major wine producing country to have an above-average harvest for the year. “Australia is well-placed to take advantage of the opportunity, with stocks at reasonably high levels and well-established routes to market in the four largest wine markets in the world: the United States, United Kingdom, China and Germany,” Clark said.